Triple P Discussion Groups. Practical advice for parents tackling specific problem behaviours. Four 2.5 hour sessions over a number of weeks. The series of sessions includes the Triple P groups: Dealing with disobedience, Developing good bedtime routines, Managing fighting and aggression and Hassle-free shopping - find strategies and solutions that work for you. Call Parentline Manawatu on 06 355 1655 or 0800 4FAMILY to register for 1 or more of the sessions. 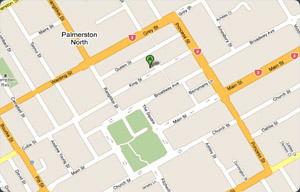 Awapuni - St Matthews, 109 College Street, PNth. Roslyn - Roslyn Library, Kipling Street, Roslyn, PNth.